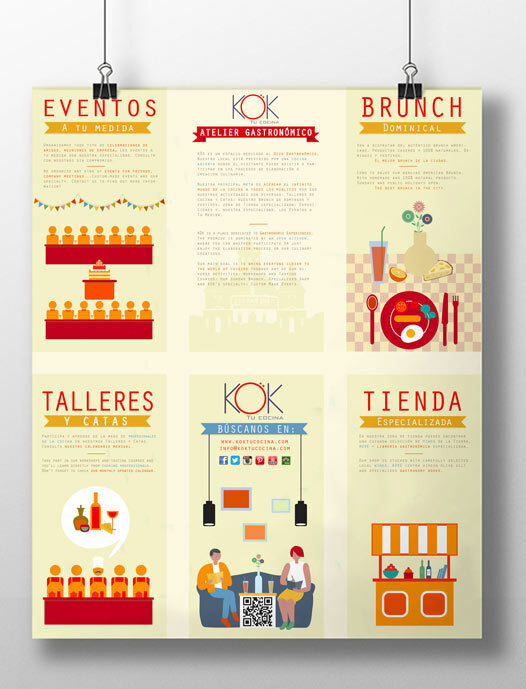 The poster for KÖK tu cocina’s door is at last finished and placed! The challenge of this creation was to avoid the bars on the door without damaging the unity of the whole. Thanks again to Oscar and Miguel for their trust in me. 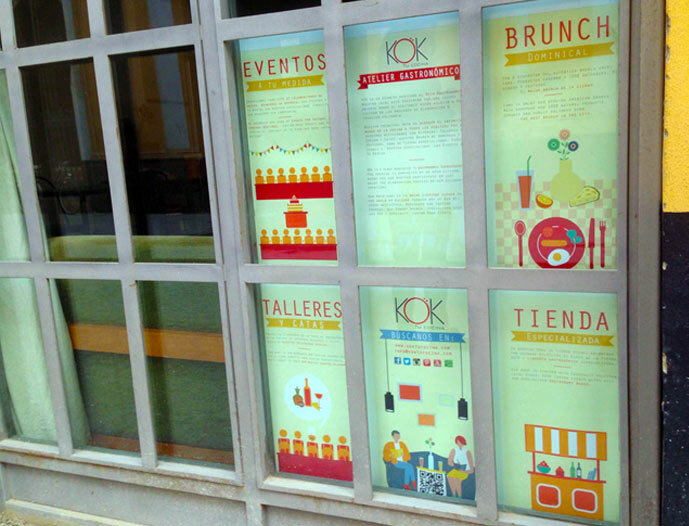 ¡Por fin el cartel para la puerta de KÖK tu cocina está terminado y en su sitio! El reto de este encargo suponía sortear los barrotes de la puerta, pero intentando mantener cierta unidad en el conjunto. Gracias, una vez más, a Oscar y a Miguel por su confianza.